It’s been five months since I became a blogger and as a Nuffnanger. I found out about Nuffnang Philippines from a follower of mine in Tumblr. When I signed up and became a Glitterati member within a month, I was totally hooked up on this awesome blog community. Nuffnang changed my life, and I’m thankful for the opportunity that they gave me for the past months when I became an extraordinaire Glitterati member. It’s been a long time that I’d been participated in an online communities since I became a Netizen 13 years ago. But Nuffnang made me feel comfortable to broadcast my blogs in a unique way, and show off my talent to my friends who criticized me since when I was in High School. And that’s makes me feel welcome to this amazing blog community that binds different nationalities with same opinions in life. Life as a blogger is an awe-inspiring career that you can vent out your feelings without prejudice. 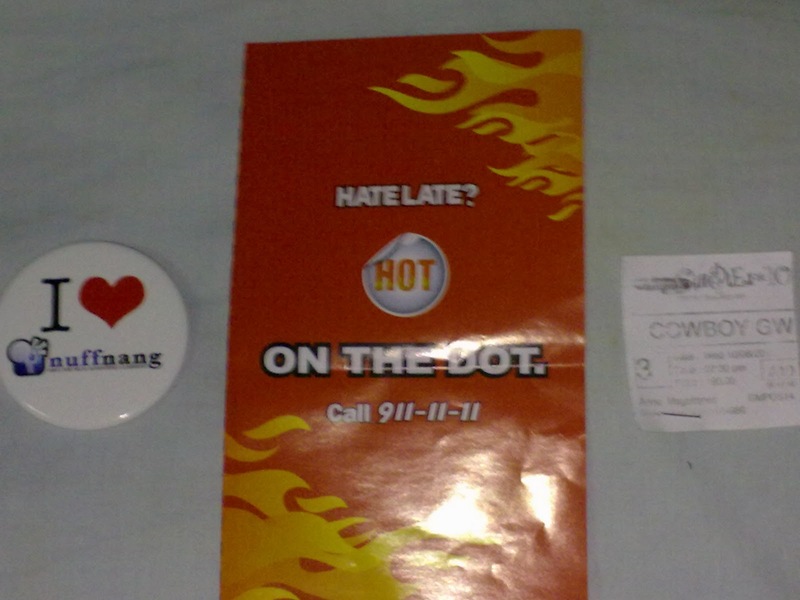 The first Nuffnang Philippines’ spectacular event that I’d been to was the Pizza Hut Hot on the Dot Blog Contest, I was excited to be a part of it. And when my blog entry picked amongst hundreds of entries for the said competition and won two movie tickets for Cowboys and Aliens movie screening at Gateway Mall last August. While having a great time watching the magnificent movie, I also gained new friends, and enjoyed every minute of it attending the fabulous event. After hours of blogging, I see to it that I joined all the blog contests that Nuffnang organized for Glitterati members every month. And I’m looking forward to join upcoming online competitions by Nuffnang. During the span of five months, I posted 28 blog posts for my blog at Blogger and hundreds of blog entries for Tumblr. In my spare time while taking a long break from blogging for hours, I always see to it that I logged in into Innit’s website every night, shared my blog posts to everyone who’s online. For the past few months, I made a lot of friends from bloggers from Nuffnang Malaysia, Singaporeand my fellow Filipino Nuffnangers thru Innit. I was overwhelmed that they liked my blog posts. And they even followed my blogs, even though some of my blog posts is in Tagalog. Whoa! Asians are really friendly…No doubt! Why do I want to attend the prestigious Nuffnang Asia-Pacific Blog Awards? First and foremost, it’s my first time to attend the event as a blogger. It will be my first trip overseas after such a long time since I was 8 years old. I want to meet my blogger friends from Malaysia. They keep on asking me when will be I’ll visit Malaysia. And I love to see the magnificent view of Kuala Lumpur, and take a vacation there. As we unveils the best bloggers around Asia on December 16, 2011 at Putrajaya Marriot, Malaysiafor the prestigious Nuffnang Asia-Pacific Blog Awards, 500 awesome bloggers will flock to Kuala Lumpur, Malaysia for the said event. The Awards aims to not only honour the best bloggers around the region, but also to bring together members of Nuffnang. The Nuffnang Asia-Pacific Blog Awards is brought to you by Volkswagen Malaysia and Putrajaya Marriot. As a friend of mine told me a week ago when she read my blog, she said “Mel, you’re born to be a blogger.” I’m proud to be a blogger and a certified Nuffnanger.